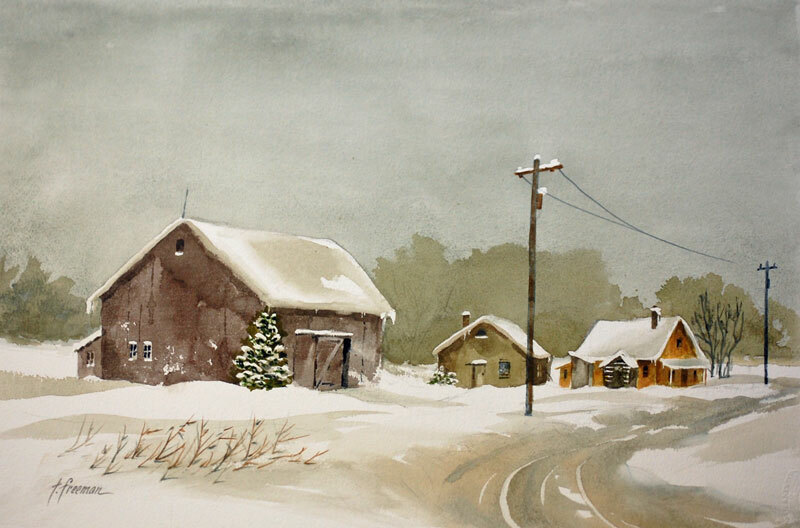 Thomas Freeman Original Watercolor Painting: "Cold Winter, Heavy Snow"
This painting was created from a sketch that I did one Summer in Michigan along a back road. I decided to change it to a winter scene and added heavy snow and a typical gray sky. Quite often I change scenes from what is really there.